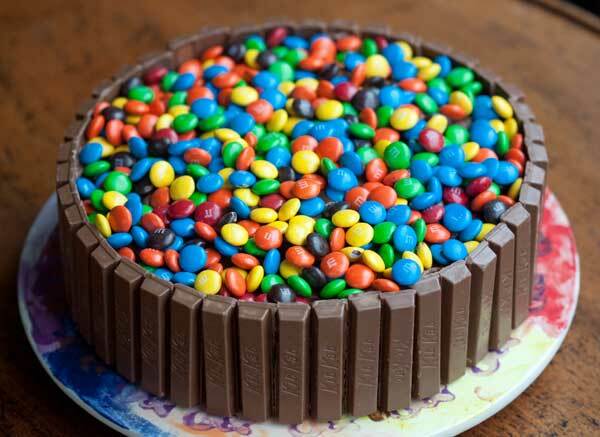 It’s a Kit Kat Cake! I’ll post the recipe next time I make it. I will definitely be trying the chocolate chip cookie recipe from the other day, and the bourbon cake. But today… it’s going to be William Shatner’s muffins! (Which I think is hilarious, since I’m old enough to remember when he was acutally considered quite the stud muffin, himself LOL). Happy New Year to you & your family Anna, and everyone else here!!! Fuzz says Pika Pika Pika back at ya’! Happy New Year—thanks for a delicious 2007! Hope you all enjoy a happy, healthy New Year! Happy New Year to the Ginsberg clan.